I love that Close To My Heart products make it so easy to pull together a card quickly. I used Paper Fundamentals in Juniper and Flaxen to make this card. 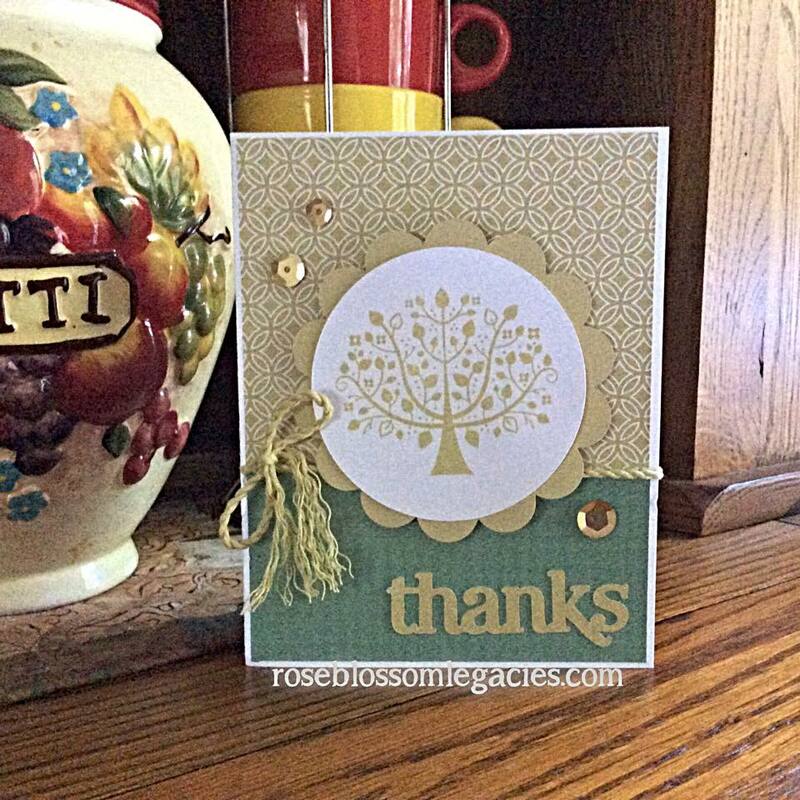 The tree is from the Keep Your Chin Up set, and "thanks" is from the Artiste cartridge. I hope that you've all had a wonderful weekend!! Thanks so much for taking the time to stop by! !